Diarrhea is a stomach related problem caused by either a viral or bacterial infection, too much intake of junk food, antibiotic drugs and food poisoning to name a few. It usually comes with symptoms such as pain in the abdomen, bloating, nausea, and frequent bathroom visits leading to complications like dehydration. To balance the electrolytes like sodium and potassium in your body, you need to drink lots of fluids. Follow this step by step guide to home remedies for diarrhea for a quick relief without wasting money or time. Lemon juice is one of the excellent home remedies for diarrhea in adults. The acetic properties of lemon play a vital role in restoring the body’s pH balance. It also creates harsh environments that make it hard for bad bacteria to survive. Lemon juice kills the diarrhea-causing pathogens giving you a quick relief. Extract juice from the fresh lemon and add it to a glass of water. To provide taste, add either sugar, salt or both then stir briskly to mix the contents. Drink the resultant tasty solution to combat your diarrhea. Make sure to repeat the procedure three to four times a day until you notice a difference such as less frequent toilet visits. Juice the lemons in a glass then add a little of hot water and mix properly. Sip the drink slowly to remedy your diarrhea fast. In this home remedy for diarrhea, ginger plays a vital role in treating gastrointestinal complications resulting from the diarrhea bacteria. It is used as a remedy for abdominal pains and food poisoning. Therefore, it will not only relieve your diarrhea symptoms but also treat the condition. Ground the pieces of ginger and add a teaspoon of honey to make it taste. This mixture will stimulate the release of gastric juice in your intestines. It is important that you don’t take water after taking the remedy since water may dilute the gastric juice that is meant to kill the diarrhea-causing pathogens. Honey on its own has antibiotic properties and a soothing effect in the irritated or distressed intestinal parts. Cinnamon and cumin are other ingredients that can be used in this remedy. Cinnamon helps in tightening your bowels while cumin powder has antiseptic properties that will heal the walls of your intestines. Take equal quantities of all these powdered ingredients and mix them together. Depending on the extent of your condition, make variations from one teaspoon to two teaspoons of every ingredient mentioned above and mix them properly to make a thick fine paste. Consume the resultant paste three times a day to get rid of your diarrhea. Apple cider vinegar is among the most readily available home remedies for diarrhea. It is known to contain antibiotic properties which are perfect for fighting the germs that cause diarrhea. Apple cider vinegar also has a significant amount of pectin that acts as a band-aid in the intestinal linings following severe cases of diarrhea. All these aspects make it an excellent home remedy for diarrhea. Add apple cider vinegar (1 tablespoon) to a glass of water and mix it thoroughly until you get a clear solution. Drink the solution thrice a day or after meals until your diarrhea plus its symptoms stop. Apple cider vinegar is among the recommended home remedies for diarrhea in toddlers. Bananas are highly recommended home remedies for diarrhea because of their high pectin content. Eat fresh ripe organic bananas to get the water-soluble fiber (pectin) and potassium, the latter being a vital electrolyte in the body that is usually lost during diarrhea. Eat ripe bananas frequently throughout the day as a snack until you find relief from diarrhea. You can mix it with other foods such as yogurt. During a diarrhea attack, the body undergoes massive losses of water and essential electrolytes. The electrolytes can be replaced by drinking coconut water which has high amounts of potassium and sodium. In just three ounces of coconut water, you get 250mg of potassium and 105mg of sodium. These aspects make it one of the best home remedies for diarrhea. Another plus is that coconut water has no side effects and it keeps the body well hydrated. Also, it boosts the immune system giving it the capacity to fend off bacteria and viruses that could cause diarrhea and related stomach problems. Drink two glasses of coconut water on a daily basis until diarrhea stops. You can add some orange juice and salt to it to make it taste good, but that’s optional. A mixture of cayenne pepper and cinnamon is one of the best home remedies for diarrhea. The combination also helps in tightening the bowels which prevent the constant urge to visit the toilet. Empty two cups of water into a pot and place it over medium heat. Add cayenne pepper and cinnamon to the gently boiling water, stir well and let it simmer for approximately twenty minutes. After that, let it cool for a few minutes and drink a quarter of the solution at intervals of thirty minutes for quick relief from chronic diarrhea. Take the remedy daily until you get well. Orange, just like lemon, is among the recommended home remedies for diarrhea that is more efficient than OTC drugs. Orange improves digestion process and also fights the bacteria causing diarrhea killing them fast. Peel off the orange and chop the peels into a pot. Pour the pint of hot water over it and let it cool down for some minutes. Once it’s cooled, strain it into a glass, and add sugar or honey to sweeten the taste. Drink the solution once to twice a day to rid of diarrhea and its symptoms. Also, you could juice fresh oranges in a blender, add some sugar or honey and drink it at time intervals of three hours throughout the day to relieve the diarrhea symptoms. Nutmeg is a sweet smelling spice which has starch, potassium, proteins, calcium, camphene, and safrole contents. Due to this abundance of healthy natural compounds, it is an appropriate home remedy for diarrhea. Mix the flour, nutmeg white sugar and salt in a glass. Add water to this mixture as you stir briskly to mix the content. Drink the resulting solution after every four hours to get the soothing effect of nutmeg to an irritated stomach. The salt and sugar are just for making it taste. Nutmeg is one of the great home remedies for diarrhea in adults and children as a whole. Fenugreek seeds are other suitable home remedies for diarrhea in toddlers because of the high content of mucilage, a great natural cure for diarrhea. They play a significant role in bulking up the stool hence reducing the discomfort caused by relentless diarrhea. Take equal proportions of fenugreek and cumin seeds and roast them. Using a mixture grinder, crush them into a fine powder and then add the two teaspoons of yogurt to the mix. The resultant concoction should be a fine paste. Feed it to the toddler thrice daily until the symptoms of the diarrhea stop. For adults, you could chew a teaspoon of fenugreek seeds with yogurt once a day to get quick relief from persistent diarrhea. When your baby gets a diarrhea attack, blueberries are great home remedies for diarrhea in toddlers. They contain an element called anthocyanin which has antibacterial and antioxidant traits perfect for fighting diarrhea-causing pathogens. 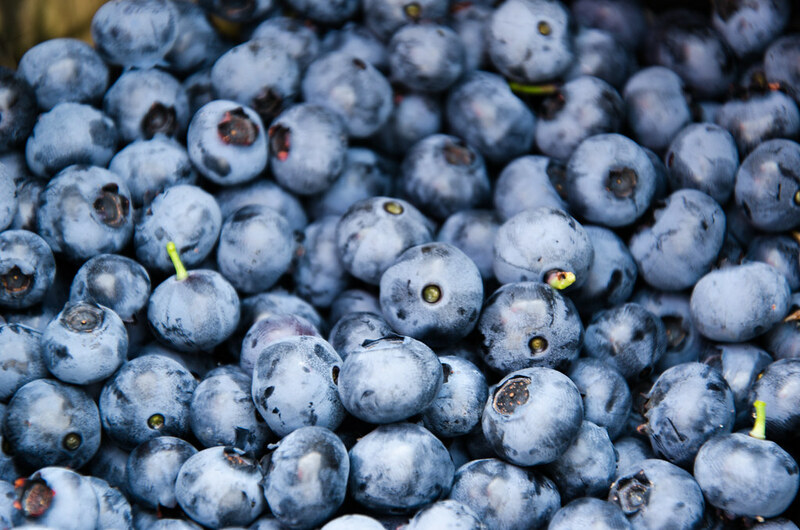 Besides that, blueberries also bring with it large quantities of soluble fiber that helps ease the diarrhea symptoms. Put all the ingredients except for the slices of lemon in a pot and cook them over high heat. Make sure to stir the mix so that the sugar dissolves completely, then reduce the heat and let the mixture simmer. Let the blueberries become softer for around fifteen minutes then remove the cinnamon stick. Blend the puree to make soup which you should refrigerate to chill. Serve the soup twice daily until the baby gets complete recovery. Chamomile is one of the recommended home remedies for diarrhea in acute or severe bacterial conditions. It has found broad application in curing several intestine-related problems such as diarrhea. The active ingredient in chamomile contains antispasmodic properties, as well as high contents of tannins, that help in treating diarrhea. Chamomile tea is preferred as one of the reliable and readily available home remedies for diarrhea in adults. Add some water to a saucepan followed by either the chamomile tea bag or the chamomile flower powder. Add peppermint to the mixture, stir properly and let it steep for fifteen minutes or more. Strain the chamomile tea and drink it to relieve you of diarrhea and its symptoms in the shortest time possible. Take the chamomile tea thrice every day until recovery. By and large, the home remedies for diarrhea discussed in this article are readily available ingredients in your kitchen no matter which one you choose. Once you follow the detailed instructions for each remedy, you should get relief from diarrhea in a few hours to 3 days. Are there other home remedies for diarrhea you’ve used in the past that helped you big time? You can share with us your experience below.